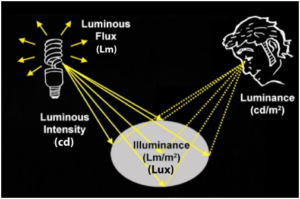 Lmax is the luminance of the light color and Lmin is the luminance of the dark color. 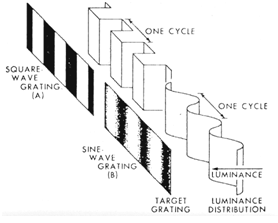 Luminance is the Amount of light emitted from a surface per unit area of given direction. 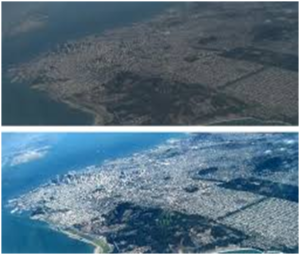 Least amount of contrast required to make a target visible is called Contrast Threshold. Its reciprocal is called Contrast Sensitivity. What are the units of contrast sensitivity? The space between any 2 bars in a grating is specified in terms of spatial frequencies. Measure of how often sinusoidal components of the structure repeat per unit of distance. 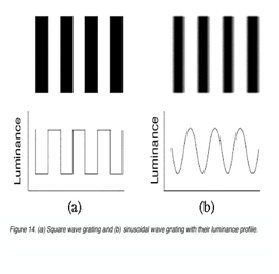 Variation of luminance across a scene can be described as a series of sine waves of different spatial frequencies. Among these pellirobsin chart is most widely used. 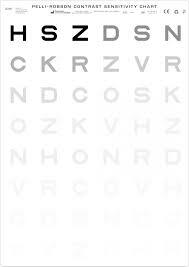 Ask the patient to read the lowest letters they can see and encourage him to keep looking at the line for 20 seconds. 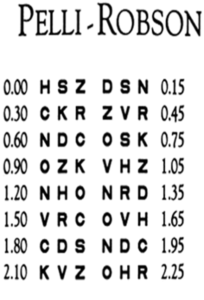 If the age is <20 and > 50 : monocular cs should be 1.65 log CS units, If monocular values are equal binocular should be 0.05 log units more than monocular value. 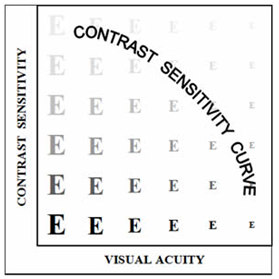 What are the factors which affect contrast sensitivity? How do we perceive contrast sensitivity? 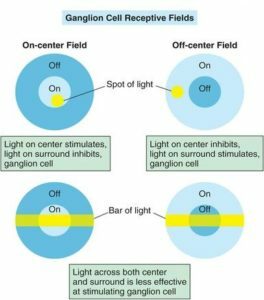 The part of the ganglion cell which receives stimuli is called receptive field.The size of the receptive field varies among the ganglion cells. How much contrast can we perceive? Human visual system is most sensitive in detecting contrast differences occurring at 4 -6 cycles per degree which means we have receptive fields for spatial frequency of 4 -6 cycles per degree. The high-frequency cut-off: Stimuli smaller than the center receptive field only produces a partial response from the ganglion cells due to the optical limitations of the visual system’s ability to resolve detail. What is CSF(Contrast sensitivity function)? 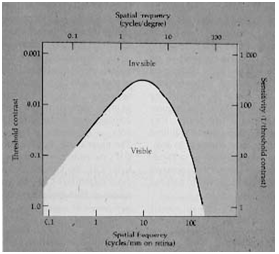 The manner in which contrast sensitivity changes as function of spatial frequency of the target. 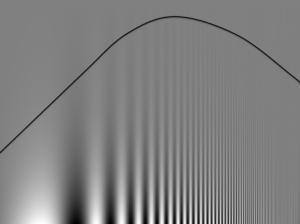 What is contrast sensitivity curve? 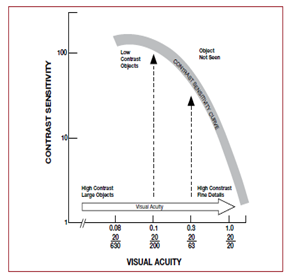 The graph which shows the relation between the Contrast sensitivity and visual acuity is called contrast sensitivity curve. What are the symptoms of low contrast sensitivity?